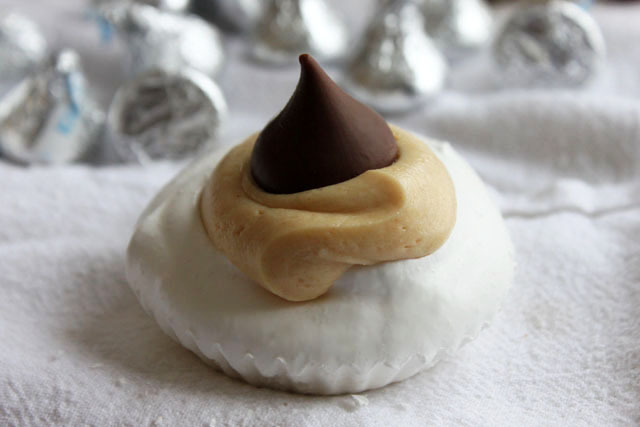 Begin with a pillowy marshmallow meringue bowl, fill it with fluffy peanut butter mousse, then top it off with a classic chocolate Hershey’s kiss; it’s a bite-sized recipe mash-up to remember, and I call it the fluffernutter kiss. 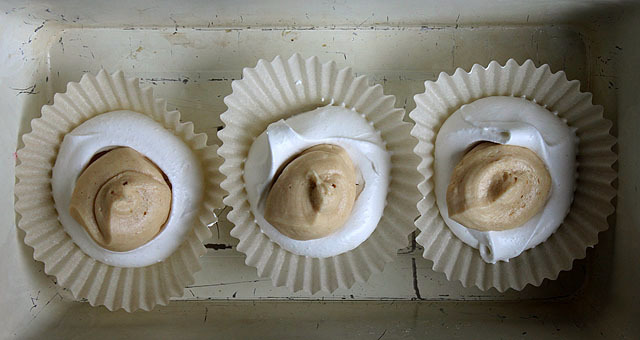 Stephen Collucci’s Peanut Butter Mousse Consider yourself forewarned on this PB mousse: the stuff is simple spoon-able heaven. 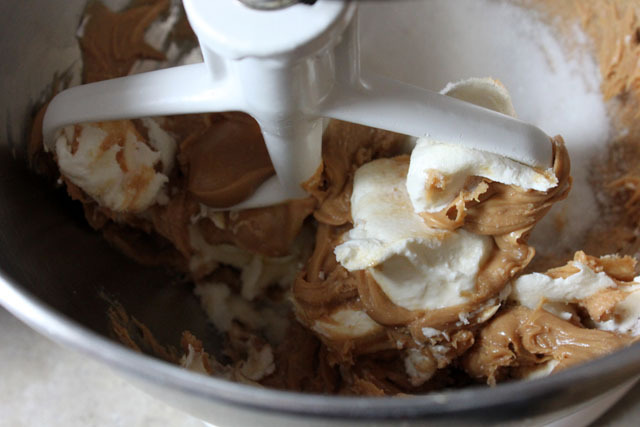 This recipe is my standby for filling up killer parfaits and chocolate cookie tart shells. 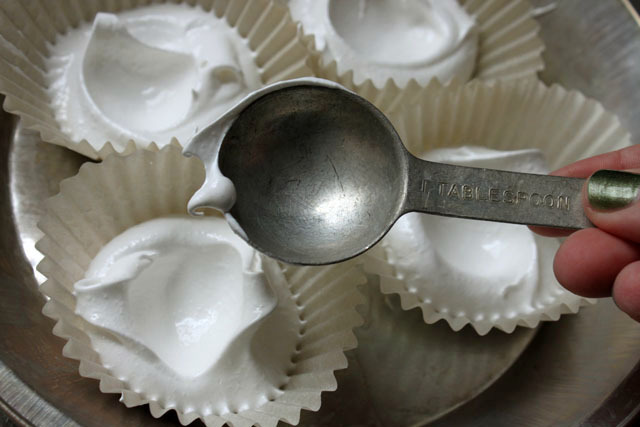 Martha Stewart’s Meringues I did not pipe them in heart shapes the way Martha does, rather I scooped the meringue into cupcake papers and made a little well in the center using a tablespoon. They baked for a total of 1.5 hours, and cleanup was a breeze. 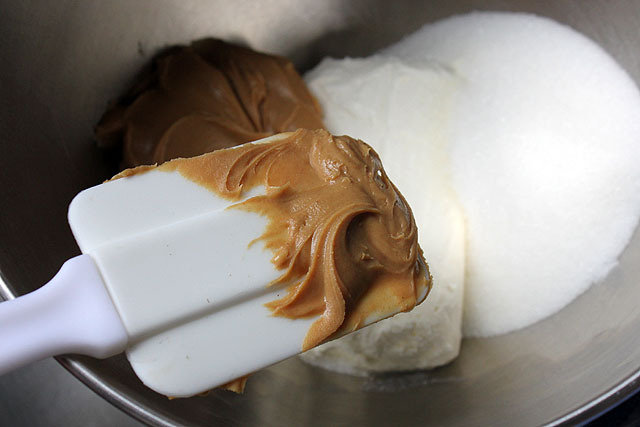 “Champagne wishes, caviar dreams, and fluffernutter kisses.” Goodnight! 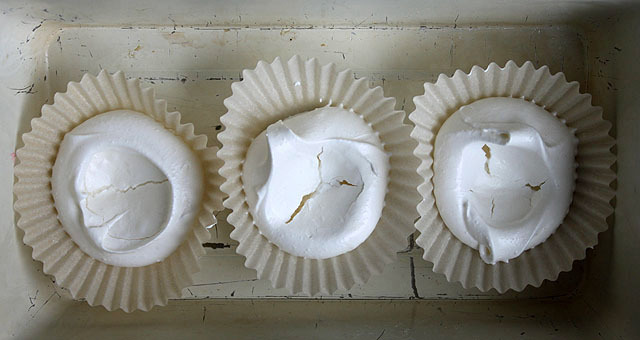 Holy crap these look delicious, but after baking for an hour and a half, are the meringues crunchy or chewy? Just wondering because I would definitely prefer chewy. Chewy — yes! Just the outside is a little crunchy. It’s why I took them out a little earlier than recommended on the website. That looks amazing! 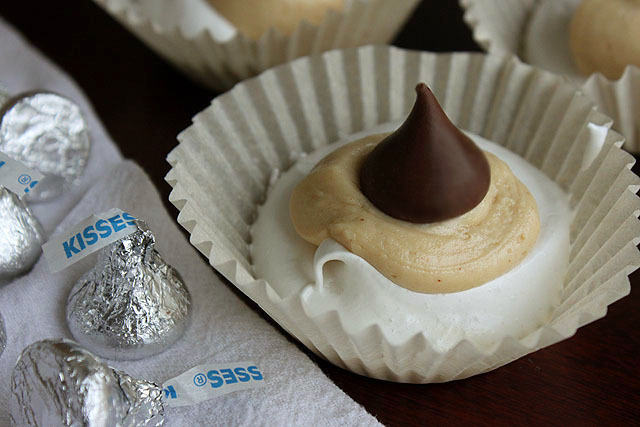 This would be a great catering sweet decadent. Bonbon’s fine Art . . .